What is the best gaming mouse for your PC setup? That can depend on how much cash you have to spend, whether you’re right-handed or a sinister leftie, and which kind of grip you prefer when clasping your gaming mouse. You also need to decide if you’re happy to go with a wired mouse or want to pay a little extra for a wireless rodent. Price is now the only factor in that space as, with modern advances in wireless technology, there’s now practically no difference between the best gaming mouse, whether it’s got a tail or not. And we’ve tested the best to give you the definitive answer as to whether you should be spending your hard earned cash on the best Razer mouse, Logitech mouse, or Corsair mouse. But don’t forget, there are also some pretty darned tasty SteelSeries mice out there too. The choices are manifold, but nailing down exactly what you want can be tricky. As ever it’s a delicate balancing act of finding the right mix of features and design. You have to juggle comfort, ergonomics, performance, reliability, specs, and always aesthetics. 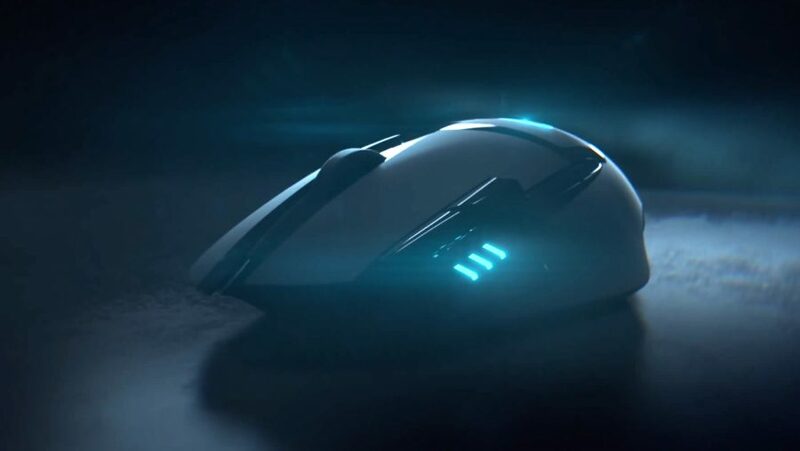 You could have a mouse which looks like Vader’s own codpiece (we’re looking at you, Mr. Sidewinder) though if it can’t deliver the goods in-game then as a gaming mouse it’s about as effective as jabbing a USB cable into a dead hamster. 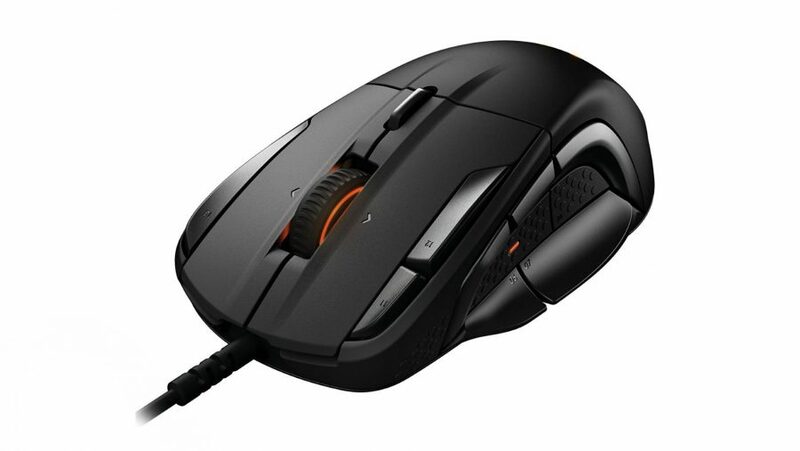 We’ve tested a wide variety of rodents and have finally narrowed down our favourite gaming mice in a selection of categories, as well as the overall best gaming mouse to buy right now. Check out the best gaming mouse prices at Amazon US and Amazon UK. With only the most worthwhile functionality for gamers, the Wireless Pro makes for esports mouse royalty. Bringing together featherweight ergonomics, a high-performance sensor, and flawless wireless connectivity, the Logitech G Wireless Pro has risen swiftly to the top of our best gaming mice charts. Plus, it’s ambidextrous too. The Wireless Pro is equipped with interchangeable switches and a DPI switch hidden on the underside of the mouse to avoid accidental button presses getting in the way of the action. And when it comes to gaming prowess, the mouse offers the best performance we’ve experienced in-game. So long as you’re okay spending $150 on a mouse, the Logitech Wireless Pro can’t be beat. Read our full Logitech G Wireless Pro review. The G903 is identical to the excellent G900 but with one important addition - the PowerPlay technology. The G903 was the outright best gaming mouse to buy until Logitech stepped its game up with the Wireless Pro. Nevertheless, the G903 is a magnificently versatile gaming rodent that manages to be pretty much all things to all people. For all intents and purposes it is only the slightest of updates to the brilliant G900 Chaos Spectrum, but with compatibility for our favourite bit of wireless tech, the Logitech G PowerPlay. For a start it’s rocking an ambidextrous design, with only a slight compromise in comfort for either left or right-handed camp, and its ergonomic layout is equally adept at catering for either claw or palm grip gamers. The G903 can also be used either as a wired or wireless gaming mouse, and we’ve detected no compromise in performance should you decide to game sans cable. 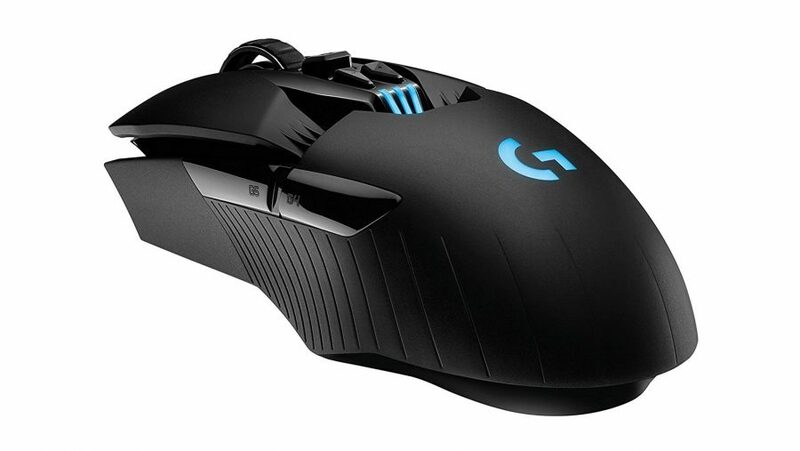 Read our full Logitech G903 review. 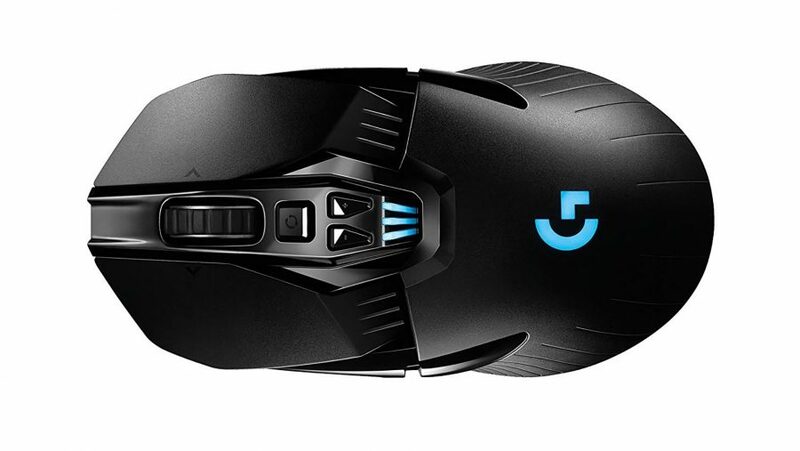 A chunky, robust gaming mouse, that also manages to make RGB LEDs look real good. 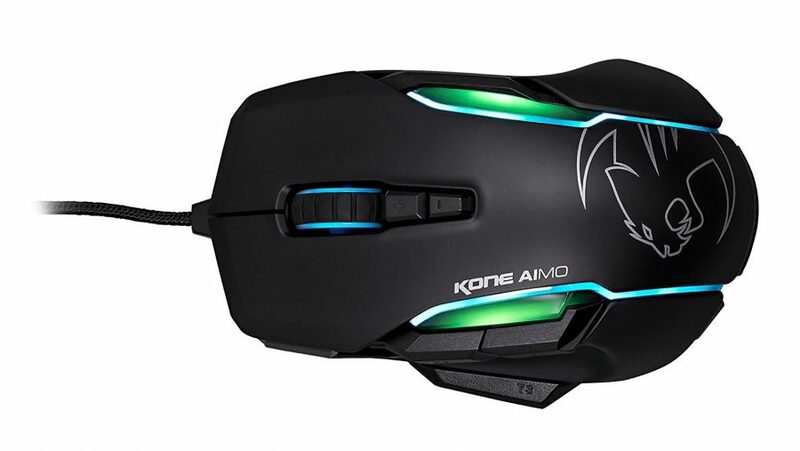 Roccat has created a particularly stylish, well-built, and comfortable mouse with their Kone Aimo. The Owl-Eye optical sensor is responsive and will reach up to 12,000 DPI because… why not? The mouse will almost definitely be larger than you initially guessed. It’s surprisingly chunky, yet feels exceptionally well-built and offers plenty of support for your palm to lift off the mat. The Aimo lighting breaks out through multiple zones of the exposed underbelly of the mouse, which displays a vibrant and glowing spectrum of complementary colours – something a little different from the usual fare. The non-Aimo two-tone illumination is, in itself, one of the most visually stunning RGB LED implementations we’ve seen, and without going over the top. 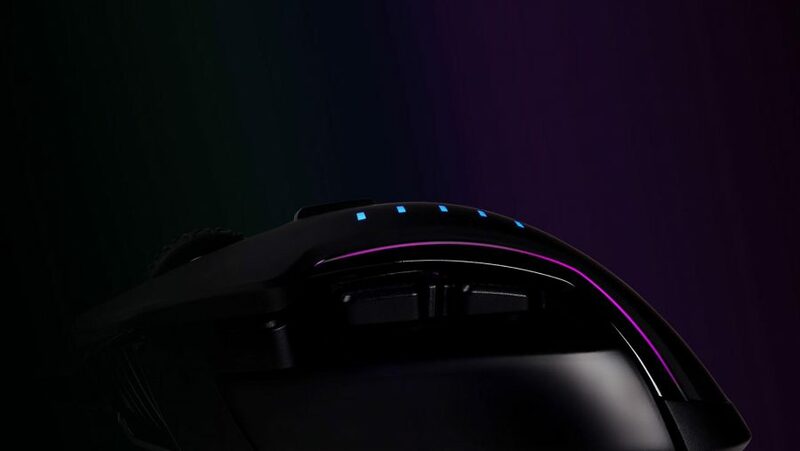 We only had a compatible mouse at the time of testing, but the Aimo lighting will sync across any of Roccat’s supported devices. Read our full Roccat Kone AIMO review. 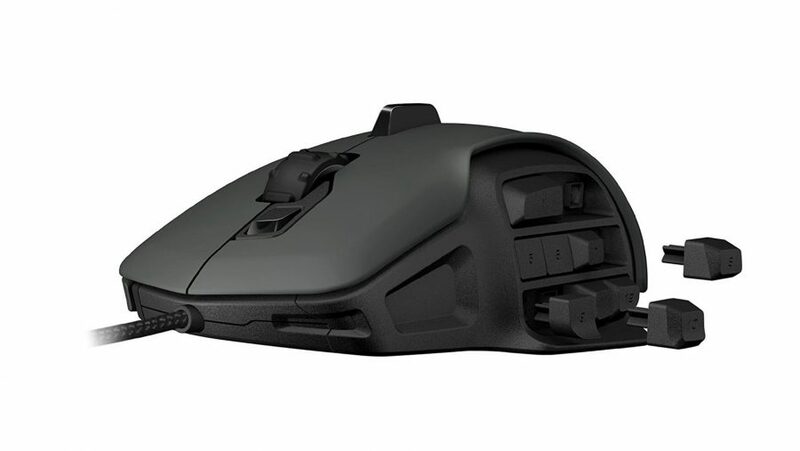 The M65 Pro was one of our favourite mice, and with a new sensor and a great price it's still a great call. With a price tag equal to the great M65 Pro before it, there’s little reason not to pick up the new and improved Elite instead. The glide pads make sure it doesn’t feel sluggish, and removable weights on the underside mean you can bring the overall weight down to 97g if it’s bothering you. The sturdy construction and braided cable gives the M65 Elite a feeling of quality, even if it’s something of an acquired taste. It’s not quite our pick for the top mouse of all time, but it’s cheaper than many of our other favourites. It’s functional, comfy, and has that quality stamp of approval we’ve come to expect from Corsair, and while it may not be revolutionary, there’s a lot to like about about the M65 Elite. 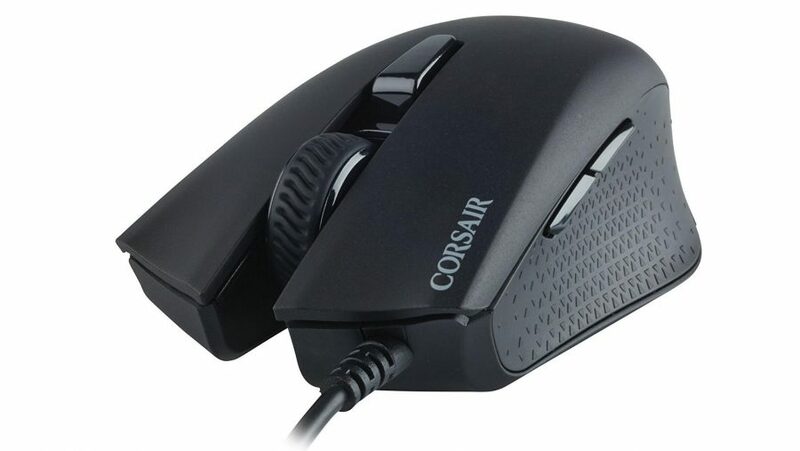 Read our full Corsair M65 Elite review. One of the best, most-comfortable Razer mouse designs in history, built around a reliable laser sensor. There are some people who prefer laser sensors in their mice and the Philips sensor in the Mamba is still an excellent option. With the hardware acceleration you might think they’re crazy, but laser sensors care not for the surface they skim across so can be a more versatile option if you’re travelling around sans mat. 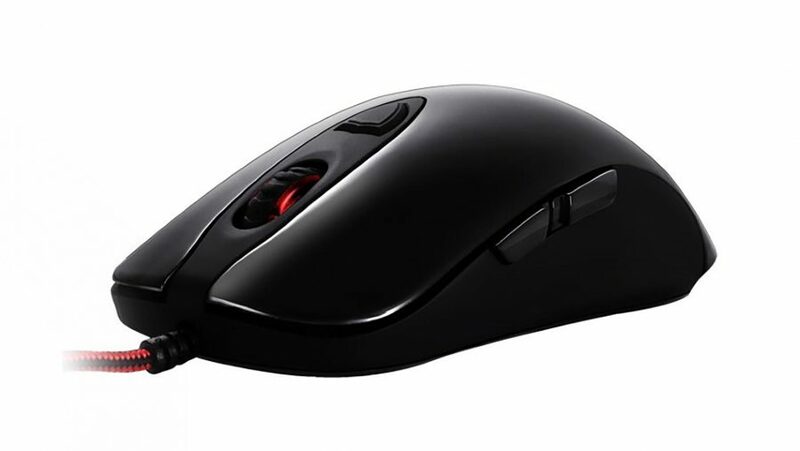 The Mamba is also an incredibly comfortable gaming mouse, with a relatively light touch too. It doesn’t glide across your desktop quite as well as the Logitech options, but it’s still a great gaming mouse in its own right. 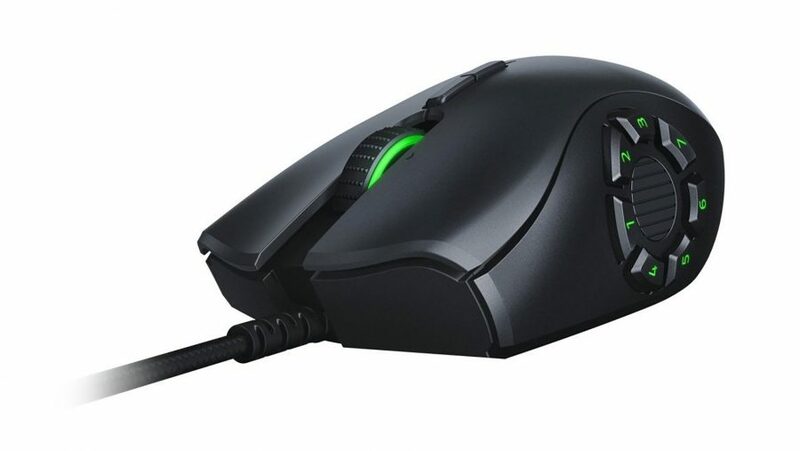 Another fantastic mouse, updating its classic Naga design to cater for all-comers and not just the MMO crowd. 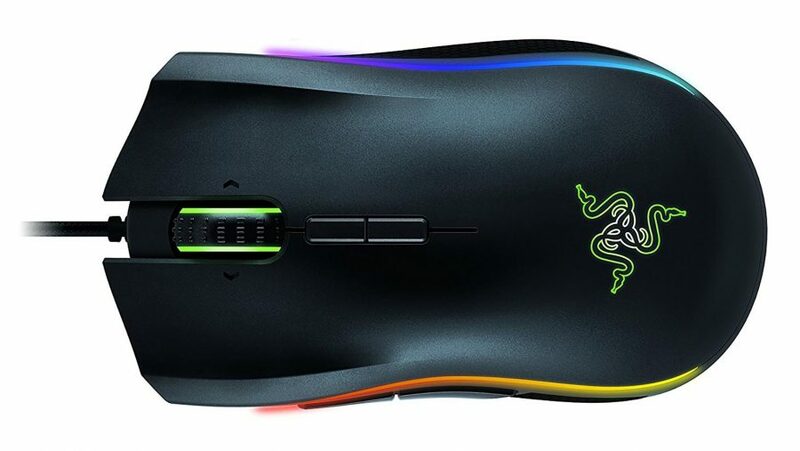 Razer’s Naga has long been synonymous with many-buttoned MMO mice, but, if we’re being honest, they were incredibly annoying to use for any other game type. All those extra buttons, arrayed in a grid of 12 around your thumb, were constantly responsible for errant thumb strikes, either adding extra digits and modifiers into your essays, emails, or instant messages, or activating some weird feature you didn’t know existed in other games. But the Naga Trinity has removed that problem, while still retaining the ability to use the classic 12-button grid for your favourite MMO or MOBA. The special sauce is a magnetic attachment mechanism that allows you to remove the whole side panel of the mouse without doing anything more than levering it off. It’s completely hot-swappable so you can add or remove any of the three interchangeable panels at will without having to dig into the settings or unplug it. There’s the 12-button panel, a seven-button version arranged in a wheel, and a simple two-button design for basic use. This smart mouse doesn't have the breadth of buttonry as the Naga, but it's smartly designed. The SteelSeries Rival 500 is a mighty little mouse and once topped our list for the best MMO gaming rodent. It doesn’t have the vast number of thumb buttons as either the Nyth or the latest Razer Naga, but that doesn’t necessarily put it at a disadvantage. My thumb gets confused when there are too many button-y options waiting to be clicked on, which is why the versatility of the Naga Trinity works so well. That also doesn’t mean the Rival 500 is lacking in those stakes – there are still 15 configurable buttons arrayed around the Rival 500, but they’re more evenly spaced out. As well as buttons around your thumb SteelSeries has also placed three extra buttons on the top for your index and second fingers to manage. I’m also a fan of the chunky design aesthetic and the fact that it doesn’t feel as lightweight as a lot of the recent gaming mice I’ve tested. It’s a great MMO mouse then, and it’s also not going to break the bank either. Like the Razer Naga the Nyth allows you to customise the thumb buttons however you wish. The many-buttoned Roccat Nyth was our previous pick as the best MMO mouse around, and it still makes for a great configurable option. The Philips laser sensor is impressively accurate and the different optional grips make it a versatile gaming mouse, if a little too chunky. The biggest tick in the pro column for the Nyth is the way it arranges its extra thumb buttons. You can have as few as three extra buttons or as many as 12 and any combination in between. A solid optical sensor, a lightweight chassis, and RGB LEDs... what more could you want from a cheap mouse? 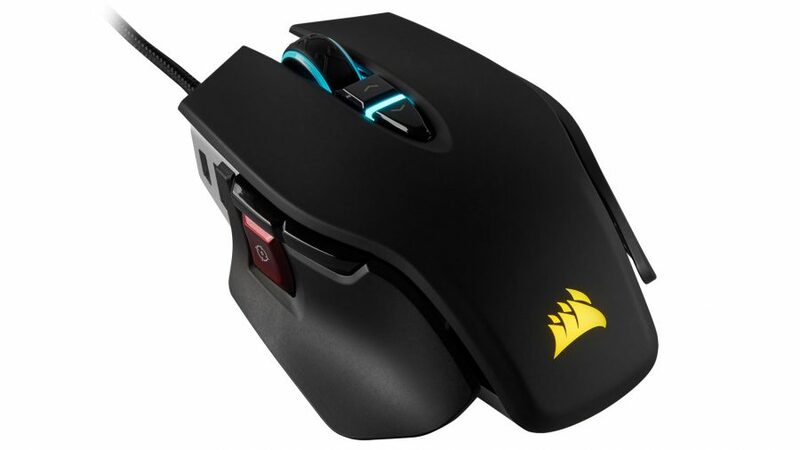 The Corsair Harpoon RGB (gotta have RGB) is not necessarily a great gaming mouse. What it is, however, is a great-value one. The 6,000 DPI optical sensor at its heart is a Pixart 3320, offering the 1:1 tracking we’ve come to love their latest sensors for, but without the extreme sensitivity that makes them perfect for high-res displays. It’s also incredibly lightweight and will fly across your desktop. Where it falls down slightly, for me, is in the ergonomics. I’m not a fan of the design purely from a comfort stance. As a dyed-in-the-wool claw grip gamer it doesn’t have the long-term comfort that I need, though for the palm grip it is feels a lot more well-designed. But for the money you can’t argue with the tech on offer. A super lightweight design, with one of the best optical sensors inside. It's simple, basic, but utterly reliable. With the fantastic Pixart 3360 sensor, and a lightweight and simple design, this mouse offers simplicity and performance on a decent budget. The Pixart 3360 is a rock-solid sensor with spot-on accuracy, so you won’t find much to complain about in that department. This sensor offers options up to a ludicrous 12,000 DPI, but even at lower speeds, it retains a consistent and accurate movement. The DM1’s design is low and close to the pad, which at first felt like the mouse didn’t quite support my hand as much as I usually prefer. However, for an fps gamer, it may be a perfect fit. The bundled driver software is surprisingly robust, with multiple profiles, macros, and on-the-fly DPI settings. RGB lighting is kept to a minimum, but can be controlled through the app, also. If you are in the market for a simplistic and minimal design that encompasses a top-notch sensor, the DM1 Pro S may be a good place to start. Thanks to the battery-saving ability of the HERO sensor – somewhere in the range of 60 hours with the LEDs off – charge needn’t be an issue with the Wireless Pro. You can always double-down on a PowerPlay mat for totally hassle-free charging, anyways. Logitech’s wireless connectivity is flawless, too. Both reliable and consistent, the days of wireless lagging behind their wired counterparts are long gone. And if you need convincing, just take a look at some of the best esports players on the planet and you’ll notice they prefer the fluid motion of a wireless mouse over a wired alternative. And if it’s good enough for the pros, then it’s probably just fine for the regular gamer. It's practically impossible to detect any lag, and you don't have to ever plug in to charge. Totes wireless. I’ve not used a wireless gaming mouse that felt this reliable and accurate before, and definitely not one with the sort of lengthy battery life the G903 is sporting – even with those flashy RGB LEDs glowing along its spine. The tiny wireless receiver makes it a perfect fit for laptop gamers – the little nubbin barely sticks out at all – but can also attach via a bundled micro-USB adapter if you need a longer lead to snake up onto your desk. I’ve had the nubbin plugged in behind my monitor though and haven’t experienced any connection issues which would necessitate that. 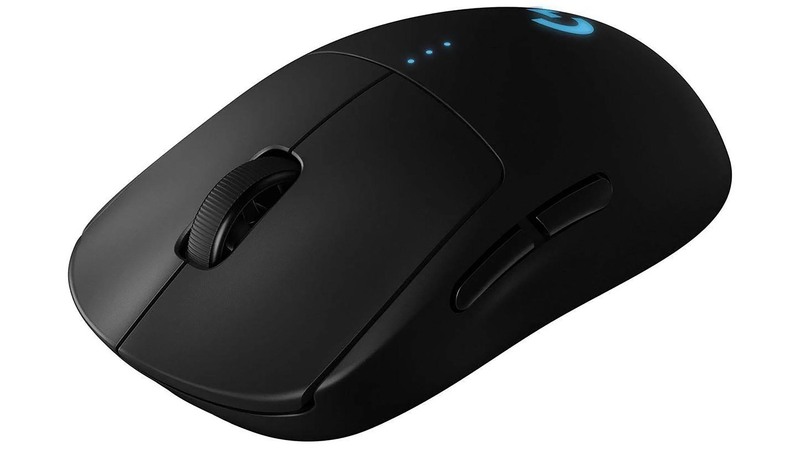 The reason we’ve replaced the almost-identical G900 with this is that the upgraded gaming rodent comes with Logitech PowerPlay support. That means it can keep its battery charged wireless simply by using it on the PowerPlay gaming surface. That makes it the perfect wireless gaming mouse to my mind, and almost worth the exorbitant sticker price for the package. Obviously you have to pay a premium for the wireless connectivity, and the price of the G903 with PowerPlay is somewhat restrictive, but if you’re after one of the best wireless mice around then I’m afraid you’ve got to pay for it. Picking a gaming mouse is a similar experience to picking out a real-life rodent. You need one that fits your lifestyle, is suited to your space, and is laser or optical to best suit your needs. Okay, I admit, it’s actually nothing like picking a real-life mouse, but it can depend massively on what genre of games you play, whether you are right-handed or devil-handed, and how you hold your mouse. So it’s hard to pick one to be all and end all mouse that’s unrivalled in every aspect. The Logitech Wireless Pro is our best all-rounder, and is as close to that ultimate mouse as we’ve found so far, but that doesn’t rule out any other mouse on the list. With its hot-swappable design, the Razer Naga Trinity is unsurpassed for MMO gamers, and its thumb configuration is easily swapped out for gaming in just about any other genre, too. The Corsair Harpoon, too, is a fantastic all-terrain mouse that gives up some of the flash for simple and effective functionality on a budget.